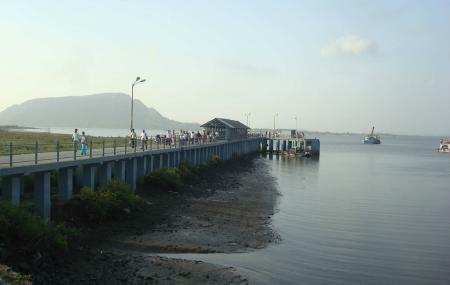 About 6 kilometers from Kihim, Rawas Jetty is a famous and significant Mumbai Launch service. Visitors use this service while coming to Mumbai. The jetty is a weekend flees. There are bungalows along the beach. Uran can be sighted while standing on the jetty facing the beach. This jetty is an excellent combination of nature and human construction. The jetty is very well designed and gives a complete view of the Arabian Sea from any point. How popular is Rewas Jetty? People normally club together Vrindavan Farm and Mandwa Beach while planning their visit to Rewas Jetty.